The Tallow Candle, an early work by Hans Christian Andersen, has been found at the bottom of a box near the Danish fairy tale writer’s home city, experts say. The Tallow Candle is a short story about a revered candle that becomes grimy and neglected until its inner beauty is recognized and ignited. Experts say it was probably written by the Ugly Duckling author in the 1820s. Mrs. Bunkeflod is thought to be a widow whom the writer visited, read to and borrowed books from as a child. Experts told Danish daily Politiken the script is likely the copy of an original manuscript that has since been lost. 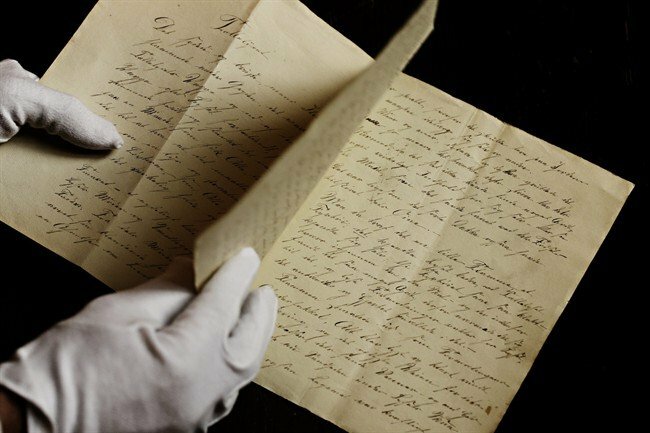 Historian Esben Brage made the chance finding in a filing box at the National Archives of Funen in October and experts have since scrutinized the copy of the 700-word manuscript. Experts say the story’s simplistic style is not on a par with Andersen’s elegantly written mature works, suggesting it was written during his time at a grammar school in the mid-1820s. Born in Odense in 1805, the son of a shoemaker and a washerwoman concentrated on poetry before his first book of fairy tales was published in 1835. Many of Hans Christian Andersen’s most famous works, such as the Emperor’s New Clothes and the Little Mermaid, focus on perceptions of wealth and beauty – themes touched on in The Tallow Candle. Andersen expert Ejnar Stig Askgaard described the discovery as “sensational”. “I have no doubt that it is Christian Andersen who wrote it,” he said. The Plum and Bunkeflod families were close friends, and Hans Christian Andersen had a close relationship with Mme Bunkeflod, Politiken reported. Before he died in 1875, Hans Christian Andersen wrote hundreds of fairy tales which have since been translated into more than 100 languages.